These are gorgeous as part of a weekend breakfast spread or for grabbing on the go. 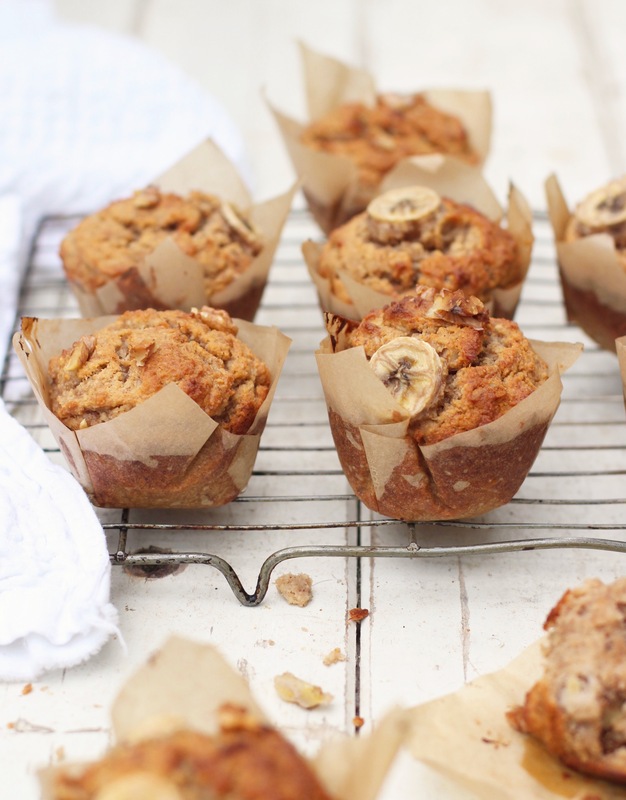 They’re light and fluffy with lovely warmth from the cinnamon and a little crunch from the walnuts. Prepare for your kitchen to smell like heaven! Preheat the oven to 180’C. If you’re using flax instead of egg then whisk together the flax and water and set it die until it’s thick like a raw egg. Add the bananas, eggs/flax, vanilla, honey and melted coconut oil to your blender and blitz until smooth. If you don’t have one, mash the bananas well with a fork and then add in the eggs, vanilla, honey and melted coconut oil and whisk well. In a separate bowl, combine the ground almonds, gluten free oats, baking powder and cinnamon and mix it all together. While mixing, gradually add the dry ingredients into the wet ingredients. Then chop the walnuts and fold them into the mixture. Line your muffin tin with muffin cases or baking paper and spoon the mixture into each one, filling them all the way to the top. Bake at 180’C for 25-30 minutes, until golden brown and a knife inserted into the middle comes out clean. You don’t mention the walnuts in the instructions. Do you roughly chop? I assume it doesn’t matter when you add them? 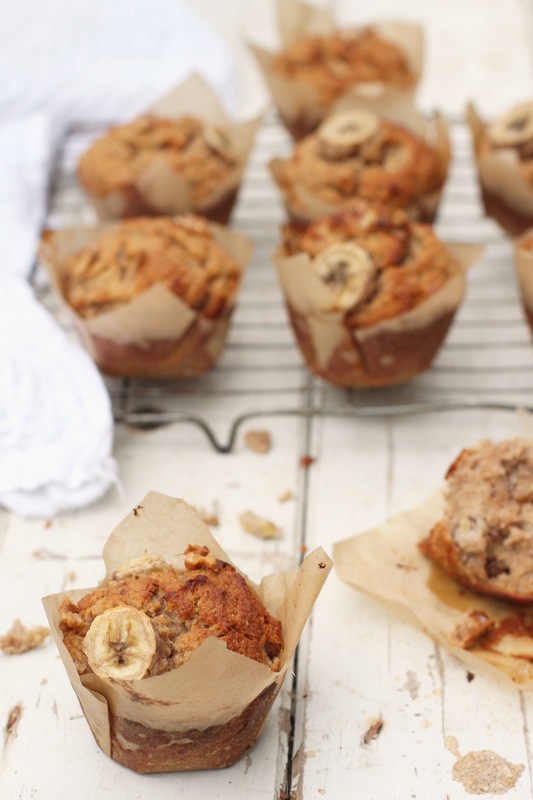 The image appears to have banana slices on top of the muffins. Are they in addition to the 4 bananas listed? Or from them? Can this same mixture be poured into a loaf tin to make a full cake rather than muffins? If so, would be measurements be roughly the same?